Host Pat Sloan welcomes you to our weekly podcast show. 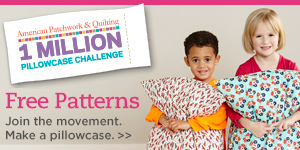 Visit us weekly for designer interviews, sewing tips, and more! Subscribe to our weekly podcast on iTunes here. 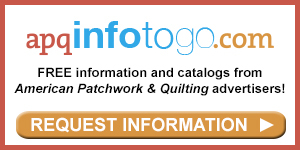 I'm Pat Sloan, the host of American Patchwork & Quilting magazine's podcast, thank you for joining me! On my hour long podcast I chat with quilt makers you know and love, authors, fabric designers and manufacturers. And I chat with quilters you may not know, people who have contributed to quilting in interesting ways, like Astronaut Karen Nyberg who quilted in Space! Or Lynn Miller who is an antiques dealer with a rich background in quilt history. 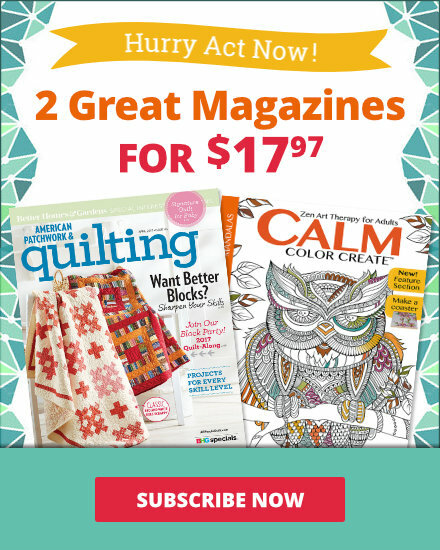 I’m passionate about quilting and love meeting quiltmakers and introducing them to you! At AllPeopleQuilt.com our Podcast page has each show, the player to listen right there or to download, our guests photos, a quote and link to their website. 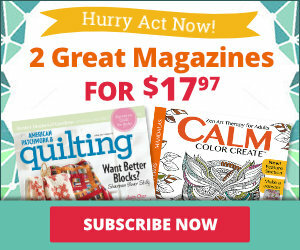 Our American Patchwork & Quilting editors do a few ‘take over shows’ each year and tell you about what is going on at the magazines. With a show each Monday for 8 years, you can dive deep into quilting with me, I can’t wait for you to join me!